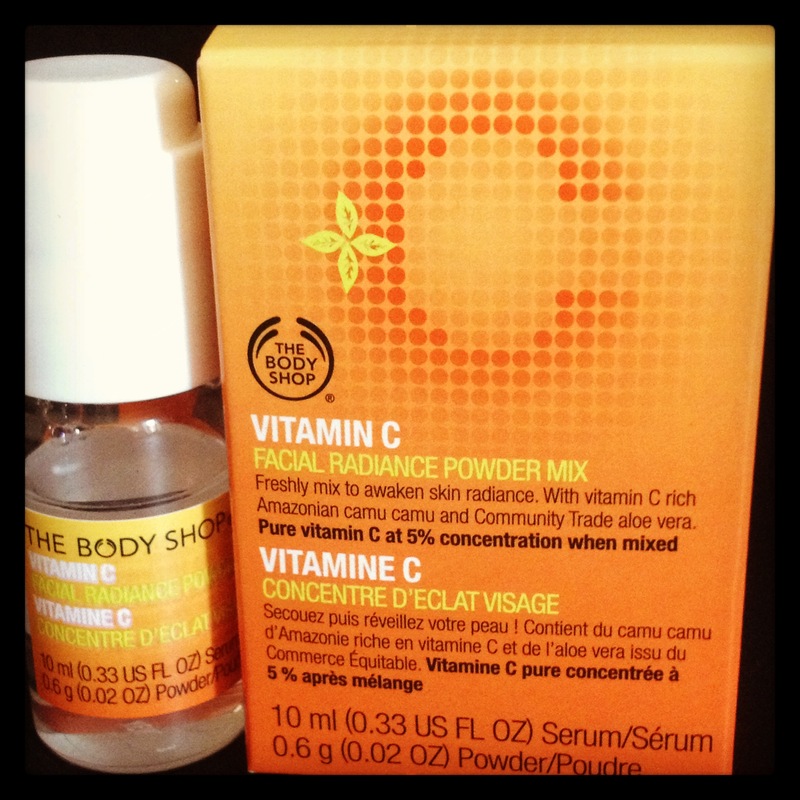 The Vitamin C Facial Radiance Powder Mix is a concentrated dose of vitamin C applied to facial skin over a 10 day period. The product is made with aloe vera and Amazonian camu camu , a fruit with apparently one of the highest contents of vitamin C. The serum promises improved skin tone, smooth skin texture and facial radiance. I was quite excited to try out this product and am thrilled that it actually works. The powder is freshly mixed into the serum once you are ready to use so that the contents stay potent over the 10 day period.The serum has a fresh citrus scent and is quickly absorbed into the skin leaving it extremely soft and smooth. I started seeing the difference within a couple of days of use and had achieved the promised, radiant glow by the end of the 10 day period. Do try this product if you have a big event coming up or would simply like to show your skin some love….you will not be disappointed!